WOW! 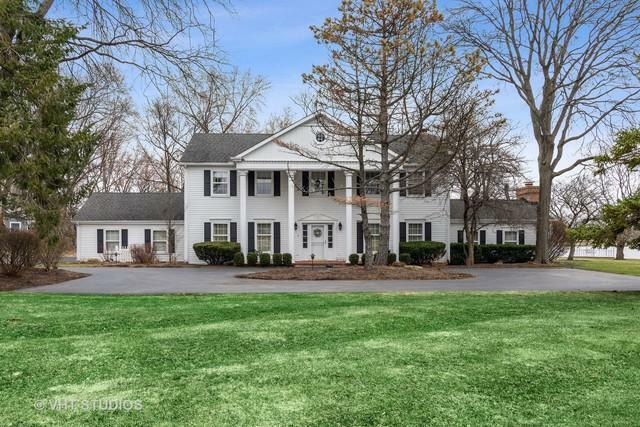 Incredible waterfront home on over 1.5 acres! 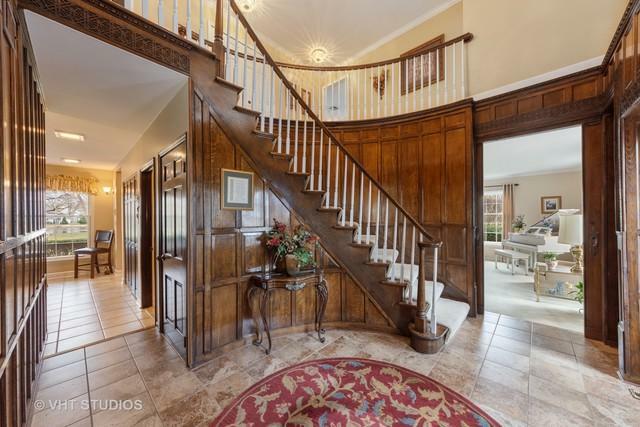 Foyer with circular staircase features exquisite wood paneling from The Palmer House. 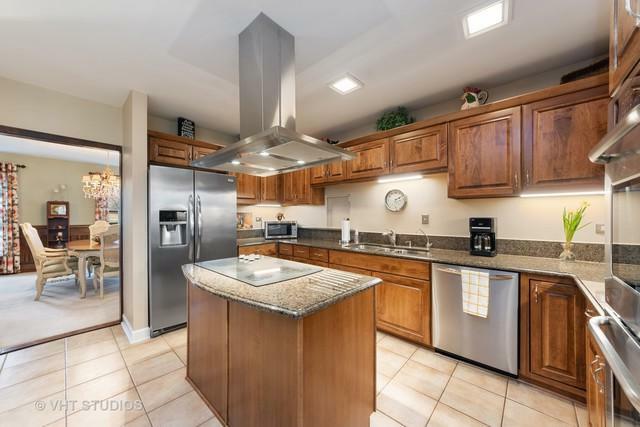 Kitchen with island, updated cabinets, granite counters, and stainless steel appliances. 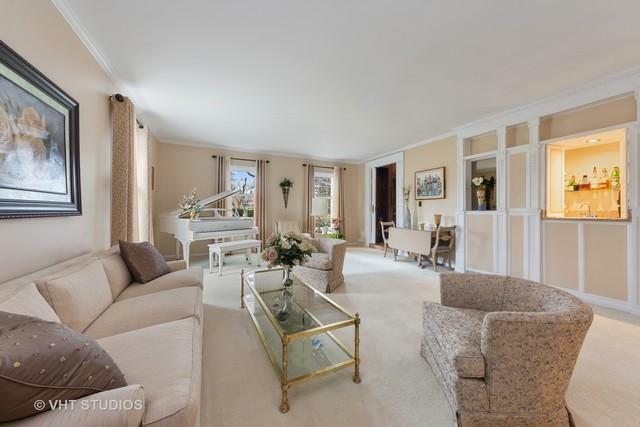 Living room boasts white trim from the wedding suite of The Palmer House and a wet bar. Comfortable family room with fireplace. Great room features vaulted ceiling, hardwood peg and plank flooring, and fireplace. Relax in the large master suite complete with fireplace, soaking tub, separate shower, and balcony. Three additional bedrooms are served by a hall bath. The partially finished basement has large recreation/exercise area and unfinished portion has workshop and storage. Three furnaces and air conditioning units and whole house generator. Whole house leaf guard gutter protection system. 2.5 car side-load garage with separate garage addition for storage. Massive deck is perfect for entertaining or enjoy the water view from the gazebo swing!